Is this some long lost Gentle Giant album that I’m hearing? Just insert Patrik Lundström into Derek Shulman’s shoes and you get an idea of the sound bursting from the title track that kicks off Ritual’s new effort. All of Gentle Giant’s classic trademark sounds are here: syncopated and melodically eccentric clavinet, electric guitar counterpoint, a muscular rhythm section, plus robust vocal harmonies. The band revisits this style again and again on this collection and I’m a bit unsure what purpose it serves. Songs like “In the Wild” that revisit what made Ritual so exciting on its previous three albums sit better with me. Here Lundström’s vocal soars over an arrangement that easily balances muscle with instrumental prowess, like Yes and Rush without overtly aping them. Ritual have professed a fondness for author Tove Jansson’s creations, the moomins, who’ve appeared on past albums. A chunk of this collection is given over to a song cycle relating an Alice in Wonderland-like tale involving the moomins. It’s an engaging musical journey, though perhaps lacking the potent melodicism and immediacy of past efforts. This may be a case of the band biting off more than they can chew, though I’m glad to see them taking chances and stretching out. 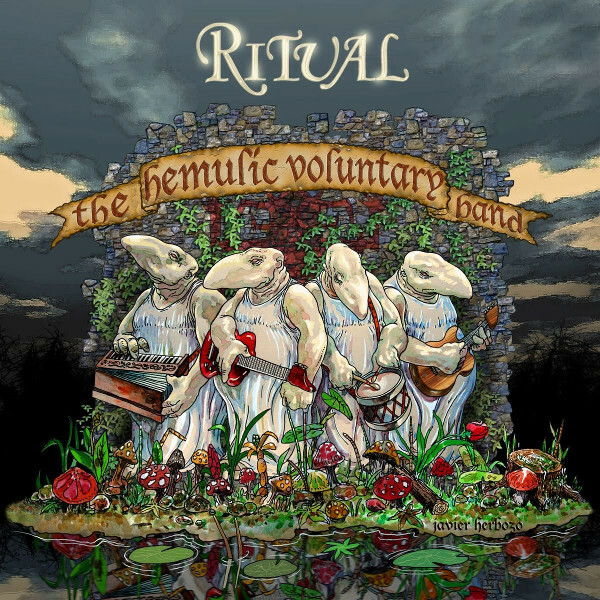 Fans of Ritual’s pastoral side aren’t neglected, the song “Late in November” and the epic length “A Dangerous Journey” delving deeply into the realm of recorder, acoustic guitar, and nyckelharpa. Kudos to Ritual for ambition on this release, though artistic success will take longer to judge.